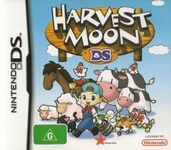 Players take on the role of a farmer who is just getting his start. The story revolves around collecting Harvest Sprites that the Witch Princess has scattered all over Forget-Me-Not Valley. Players will plant fields, tend to their livestock, and try and court females to eventually marry.